This is an educational piece that explains einvoicing and options for automation. It positions B2B integration as a more complete solution that includes eInvoicing. 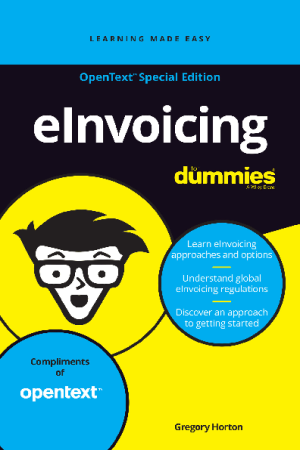 The ebook introduces audience to eInvoicing, its benefits and how to be successful with an eInvoicing program. It also talks about eInvoicing regulation and the importance of compliance.